I love spending time with my mom. Over the past ten years our relationship has evolved into a true friendship well beyond the mother-daughter bond. We can talk to each other about almost anything. In recent years, I’ve tried to take time off from work around her birthday to do something fun. One year we spent a week in San Francisco with my sister and my nephew. This year, we took a stay-cation and puttered around Brooklyn. My mom and I spent her birthday having the most perfect day ever. We began our day at Choice Market where we both had the opportunity to eat the most perfect and delicious BLT for brunch. This sandwich starts off with the staple ingredients: a phenomenal bacon, lettuce, tomato and two slices of bread. 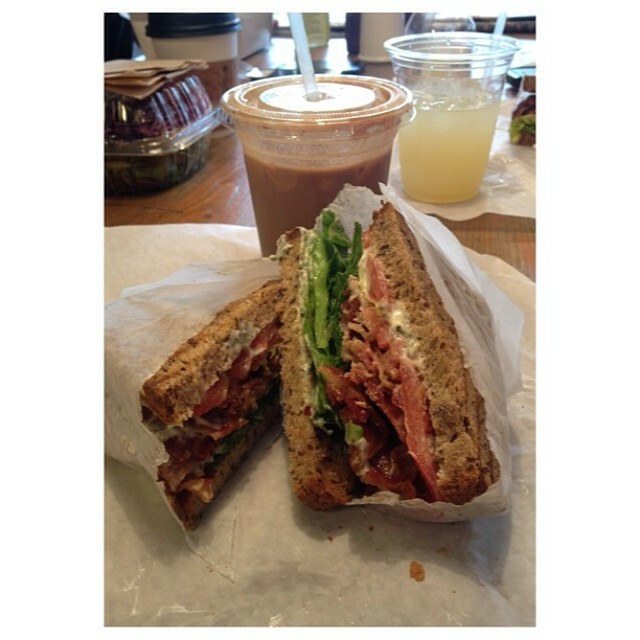 The thing that takes this sandwich over the top is the rosemary mayo. Eating it was like partaking of something hand-prepared by angels. 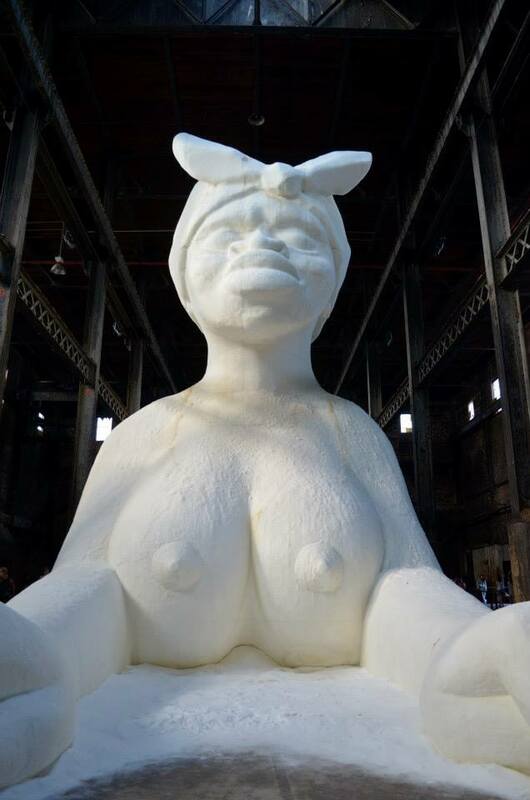 After brunch, we made our way to the Old Domino Sugar Factory to see the Kara Walker installation. Upon arrival, we weren’t sure we would get to see the exhibit. The line was super long; by the time we got to the location, the end of the line was at least four blocks from the entrance. However, we persevered and once the line started moving, it managed to move really quickly. Once inside, we realized this exhibit would become the second highlight of the day. The exhibit concluded at the massive and controversial, “Sugar Baby,” a naked sphinx with what are considered African American features (i.e. big lips, breast and bottom) with a rag on her head. The controversy largely stemmed from how viewers perceived and interacted with the exhibit. Upon viewing this behemoth, my reaction was very muted. Since I had already researched and read as much as I could about the exhibit before going to view it, I really didn’t have any opinion on it. I understood and respected that this was Kara expressing herself as an artist. I can’t speak for how others received this subjective artwork, but for the most part, many of the other visitors to this exhibit during our visit was very respective of the artist work and just wanted to document that they got the opportunity to see the sculpture. After leaving the exhibit, my mom and I made our way to Pies-N-Thighs for dinner. I had the chicken box, which included 3 pieces of fried chicken and a side. 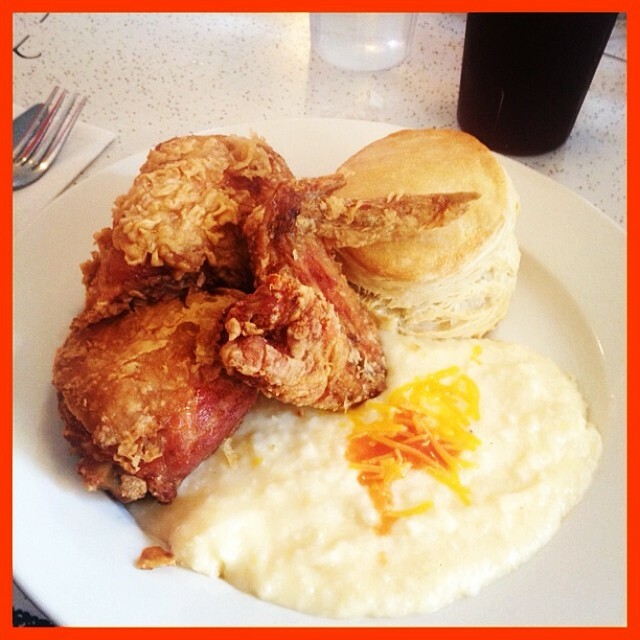 I choose the traditional side dish of cheese grits to accompany my chicken. 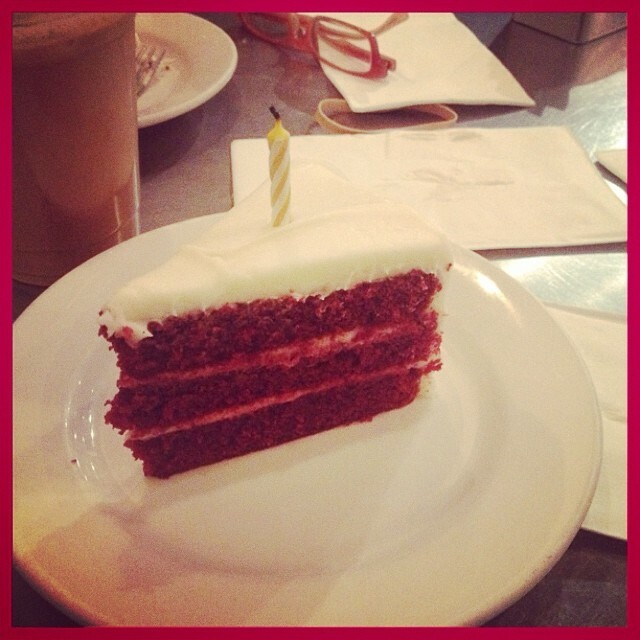 To end the perfect day, we stopped at one of over favorite cafes in Brooklyn Heights, Tazza, for a birthday treat. After informing the ladies at Tazza’s that it was my mom birthday, they added their own little surprise to this end to a perfect day.